Before writing this, I checked out what others were saying about ORM, or “online reputation management”. There were advice about how to be kind and reply responsibly to the people making bad reports about you. They’re all about being respected, transparent, monitoring what other people say about you, responding quickly, etc. That’s all nice, but this article is going to go in another direction. If you want ORM done, its probably because someone has already smeared you online. Maybe it was legit, maybe not, regardless — all you want is for it to disappear. If you’ve been listed on the awful ripoffreport.com or some other blood-sucking platform that derives a profit from ruining people’s livelihoods, and you want it to just go away, that’s what this article is about. Question: Where is the best place to hide a dead body? Answer: Page 3 of Google SERPs. We’re going out outrank the libelous listing by ranking for your company name or your name (whichever you want to protect). We’re going to rank for listings #1 through #10, or if you have a particularly sensitive client, perhaps we’ll try for #1 through #20. We will achieve reputation management by crowding out the bad, with the good. Every case of ORM I’ve seen (and I’ve seen quite a few), involves a fairly uncompetitive term. Even the sites that tend to rank fairly well, such as Rip Off Report, they’re only ranking off their own internal linking. It’s not as though they’re out building links to these hit pages. Therefore, while it can seem a little daunting to rank so many pages, where you own the entire top 10 — the good news is it’s not at all hard to outrank these negative pages. Let’s talk about parasite hosting. We’re going to leverage the fact that some sites on the internet rank insanely well — and that you can stick a piece of UGC (user generated content) on that site, so it achieves a top 10 ranking with minimal effort. Consider how easily a page on Facebook, Twitter or LinkedIn zooms to the top 3 positions, without any backlinks even. I’m going to list many sites where this phenomenon occurs, where an optimized page ranks extremely well — even without links. When you look at the top 10 for a particular individual’s name, or a company name, there will be listings already ranked in the top 20. Perhaps these listings are favorable to your company, or your client. Perhaps they have absolutely nothing to do with your client. It doesn’t matter — as long as they are not negative to your client, they can easily be promoted above the bad listing. I’m going to use some fictitious names to make an example. Your client’s name is Ickelstein Binkelwitter. The top ranking is Ripoff, with a bad review and “Ickelstein Binkelwitter” is in the title, making it rank fairly easy. You want to push that down. The second listing is on “Ickelstein Beer”, a completely unrelated company, who happens to allow comments on their site. You can visit that second listing, and make a comment that happens to have the word Ickelstein in it, making it rank even better for the target phrase. Regardless of whether you can comment or not — you can build links to that page with the target keyword as anchor, and it will rank even better. You only have to increase it’s ranking 1 spot! This is extremely easy. The third listing is Jennifer Binkelwitter, a person on LinkedIn — and that page happens to mention Jacob Ickelstein, so it ranks because it has both words on it (though not perfectly optimized). Building a few links to that page will make it rank better. You only have to push it up 2 spots, this is not hard to do. The fourth listing may be a favorable article in a newspaper that discusses your client. Newspapers, of course, rank extremely easy — with a few links you can promote this above the bad listing. This is something you want to do anyways, especially if the newspaper article has a link to your client’s site. The point is this — there is already a #2 through #10 set of SERP results that are aged and are already ranking extremely well for the name or company you want to do online reputation management for. Promoting those above the negative listing can be an easy task. Of course, you should be the number one listing for your own name, or your company’s name! If you’re not even ranking well for your own brand name, this is indicative of other systemic problems with your SEO strategy. 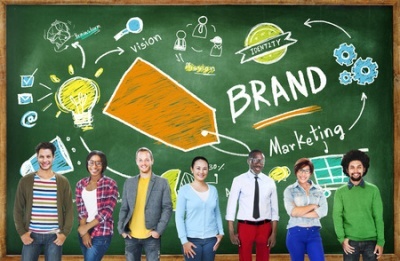 Promoting your site as a brand should be your goal. 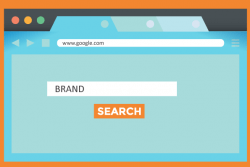 Brands are treated better by Google, and receive higher rankings. 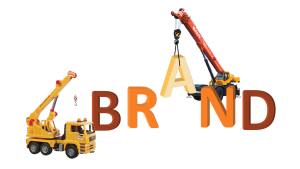 You should be building links to your own site, with your brand name, so that you can easily outrank a negative listing and be the first result for your brand name. If your concern is your brand name + the word “scam”, simply create a page on your site that is optimized for your brand name and the word scam. This will help you achieve the first listing for that result. You can make it a feedback page, so people can voice their concerns to you directly, instead of posting about it on the internet in the first place. Here is a list of web properties, where you can optimize it for a particular keyword and they rank extremely well, even with few links. If you happen to be selling ORM to people, you can also pitch them on the idea of managing their Social Media. The above seven listings are not only fantastic for outranking negative listings, they are also the foundation for building “author rank”. This author rank is a method for Google to verify the identity of an individual writing article for your client’s site (the one you’re doing ORM for). 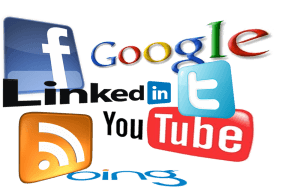 Increasing their social media presence will increase their overall rankings in Google for their brand and whatever articles they publish on their site. Normally I don’t recommend buying low quality links from places like Fiverr. 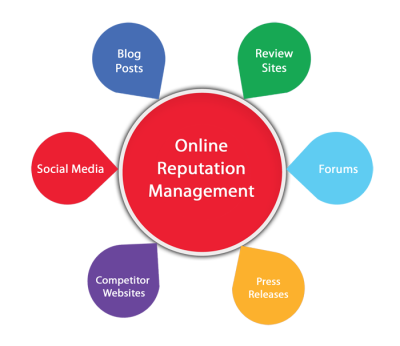 However, when it comes to reputation management and not caring whether these unaffiliated listings rank forever, you can usually get an extremely fast results by purchasing some cheap and quick link packages. For $45, you can buy a $5 link package for listings #2 through #10 (9 x $5 = $45). Or, you can build your own social media accounts with the above list, and hit those with $5 link packages. It’s cheap to experiment. Depending on your budget, you have have pages placed on the top 10 free blogs as well. Order a page of content to be written, and buy a cheap link package to the site. Following are 10 great free blogs that rank really well. 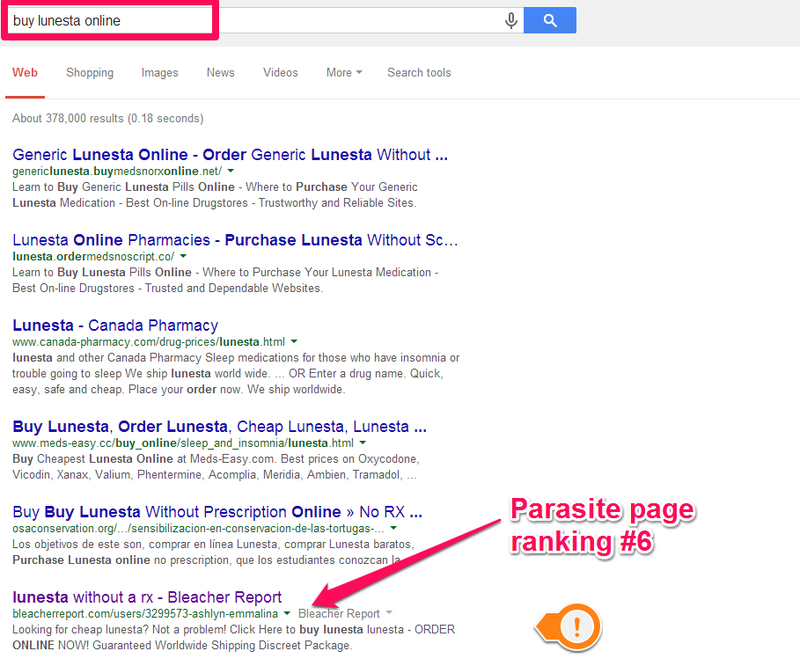 If you search the top results for “online reputation management”, you won’t find many people discussing pushing negative results down in the SERPs. Therefore, you should be really cautious when hiring an ORM service. 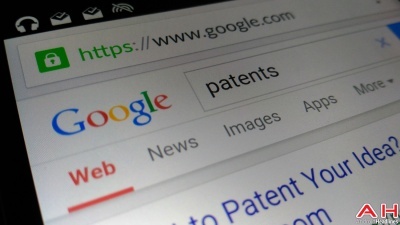 Ripoff Report won’t remove listings unless you sue, and neither will Google. While having better outreach to disgruntled report writers is fine and dandy, that rarely results in the satisfaction of having hit pieces removed from Google. I’ve looked around for pricing on ORM, and bare-bones service (that doesn’t explain what they’re doing) start at around $195 and according to Forbes run upwards of $1000 per month. That’s $2340 to $12,000 per year! Compare that to what I suggest above. Assume the bad listing is #1. 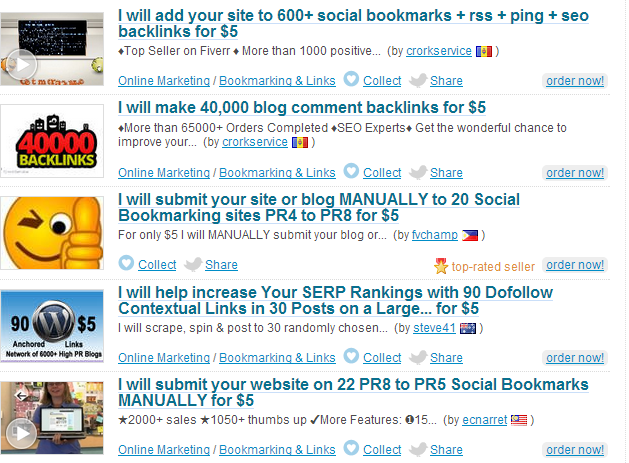 Promote whatever is ranking #2 to #19, each with a Fiverr job ($95). 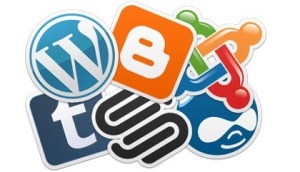 Next, create 6 social profiles and 10 free blogs (10 articles written at $5 each = $50). Then, promote all of those with more Fiverr jobs (16 * $5 = $80). You’re in for a one-time fee of $225 so far. Take note that the free blogs would double as SEO links to your website. This may drop the bad listing from #1 to #8 — if it’s not completely gone from the top 10 in 2 weeks, simply rinse and repeat. Does that seem too blackhat for you? You can just as easily create whitehat content and get them legitimate links with guest blog posting, infographics and other whitehat methods. Remember, these blogs have links to your site, so they do far more for you than reputation management. They also are building your brand and making your pages rank better. All the social links are building author rank, so your site is receiving positive ranking signals. By arranging this to be done, you can come in far lower than $2340 and achieve positive SEO benefits as well. I’ve used these techniques to squish negative listings. It’s not that hard. In my opinion, it’s more effective than dealing with these companies that post negative listings directly. Every step I’ve mentioned above can be hired out piecemeal at pennies on the dollar, compared to paying a company to handle the entire process behind closed doors. At least this way, you’ll know what is going on. When you’ve accomplished your goal, you’re qualified to offer ORM as a service yourself.